There are an assortment of procedures in my office that require nearly boiling hot water. They include adjusting the fit of occlusal appliances made with thermoplastic materials, using thermoplastic forms as provisional matrices, melting wax and fabricating AM aligners for apnea patients from Thermocryl. The challenge is conveniently getting the proper temperature water. The water from our sink never gets warm enough to be of any use. Many offices have an Instant Hot Water dispenser. Of course these have their disadvantages. First if you don’t already have one there is the expense of purchasing it and having it installed. Second I know a number of people who have been burned by accidentally hitting the dispenser. Another option is a good old fashioned hot water bath. If you still have one of these, the challenges are obvious. They include setting it up, the amount of time it takes to heat the water to the correct temperature, and lastly since you put objects that have been in the mouth into the water bath, I worry about cleanliness. In my office we have been using the microwave. So we fill a green lab bowl with water and then take it to the microwave in our staff lounge to heat it up. This presents the challenge of timing when to heat the water so it doesn’t cool off and then carrying it back and forth. This weekend I hosted a dental sleep medicine course in my office taught by my friend Dr. Steve Carstensen. One of the procedures we learned was fabrication of an AM Aligner made of Thermocryl. This is a device used to help the patient seat their condyles and stretch the lateral pterygoid after wearing a mandibular advancement appliance during sleep. 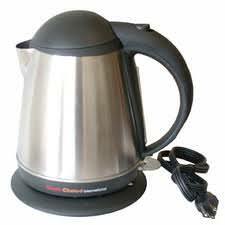 As Steve was setting up he pulled out an electric water kettle and plugged it in. I knew he liked coffee, but thought it was a bit funny to bring your own water kettle until I realized it was for our hands on exercise. 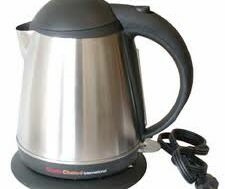 He pressed the button, and in under 2 minutes we had boiling hot water, a whole kettle full. Then he poured out the needed amount into a green lab bowl (disinfected of course) and then dropped the Thermocryl in the water to soften. 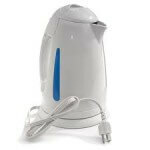 I have already ordered my electric water kettle from Amazon for under $40. 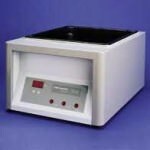 It will have a place on the counter in the lab, filled with distilled water. Whenever we need hot water we have a quick, efficient, inexpensive solution now. Thanks Steve!!! Our oral surgery office is getting a X-Nav Guided Instrument System and they suggested the hot water quick and easy was an option. Wondering if you might have any feedback. I am not familiar with the system you are mentioning.